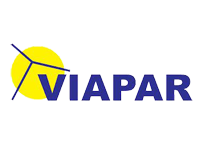 Viapar manages 546.53 kilometers of highways in Paraná, and its granting is for 24 years. The company has six toll stations, which are in Arapongas, Mandaguari, Presidente Castelo Branco, Floresta, Campo Mourão and Corbélia. The company also has seven operational bases, six of which are next to the tolls and one in Ubiratã, 2 fixed scales, 1 in Nova Esperança and Peabiru. Environmental control plan (PCA), necessary for obtaining the installation license by the Environmental Institute of Paraná (IAP), for the construction works in the highway BR 376. Floristic inventory required for obtaining authorization for vegetation suppression.